Due to the possibility of snow accumulation during a winter storm watch, Cobb County schools, Marietta schools, Cobb County offices and the Cobb County courts will be closed tomorrow, Tuesday, January 29. 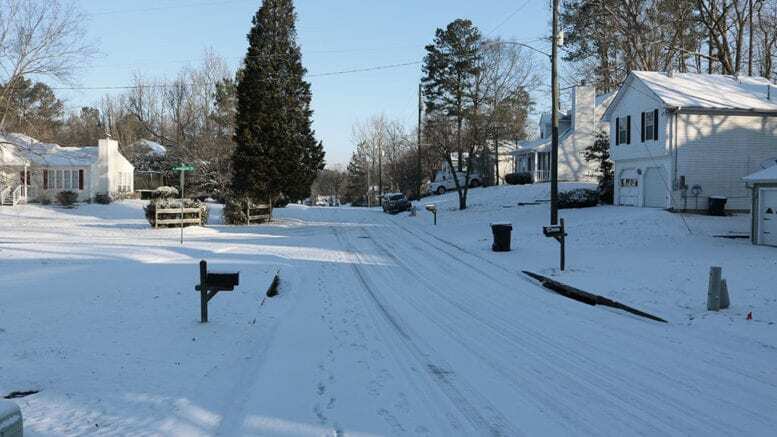 The National Weather Service predicts snow across north Georgia. There is a possibility of up to two inches in some areas. The Winter Storm Watch will run from 4 a.m. until 10 p.m. Tuesday. The temperatures are also expected to drop rapidly. Up to 2 inches of snowfall in some areas. Isolated spots with higher snow amounts possible. This could impact the morning and/or the evening rush hour. The system will exit quickly but could leave behind spots of black ice making travel hazardous. “Cobb County DOT will watch the approaching system and make plans for treating roadways. They will deploy crews to stay ahead of the situation,” the news release on the website states. Be the first to comment on "County schools, offices, courts closed tomorrow for winter storm watch"